If an elevator could have a persona, what would it be like? How would you describe it's personality? These were the questions I had to answer for my research project. For a month I had to observe and collect data of an elevator of choice in Boston. I chose the Stata Center elevator at MIT and observed both the elevator itself and the passengers who got on and off. 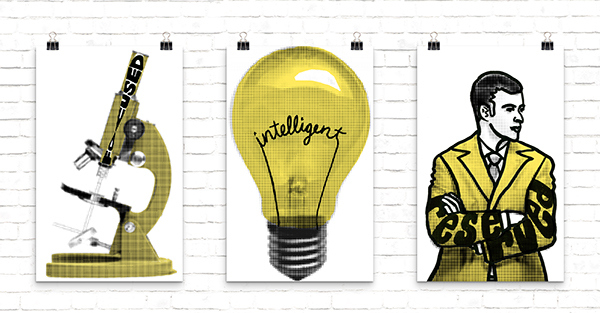 The three main traits I came up with were intelligent, reserved, and focused. I created a poster design for each trait as a three-part series.